February | Howard Rideout Architect Inc.
One of the benefits of working in Hong Kong for seven months in 2014 and 2015 was the opportunity to travel to parts of the world that would appear on most people’s “bucket list”. Bali – being on the list of exotic getaways, and a reasonable flight from Hong Kong, became a destination point for both work and pleasure (although in Bali … work is pleasure). 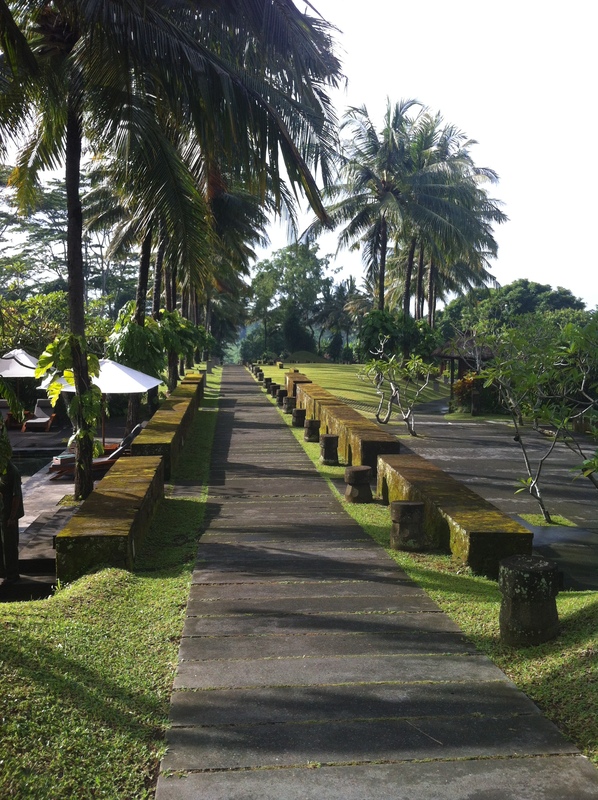 International Traveller Magazine refers to the Maya Ubud Resort and Spa as one of the best in all of Bali. After four delirious nights at the resort I proclaimed it as “one of the most tranquil and beautiful places I’ve ever been”. The site plan seen below, says it all. 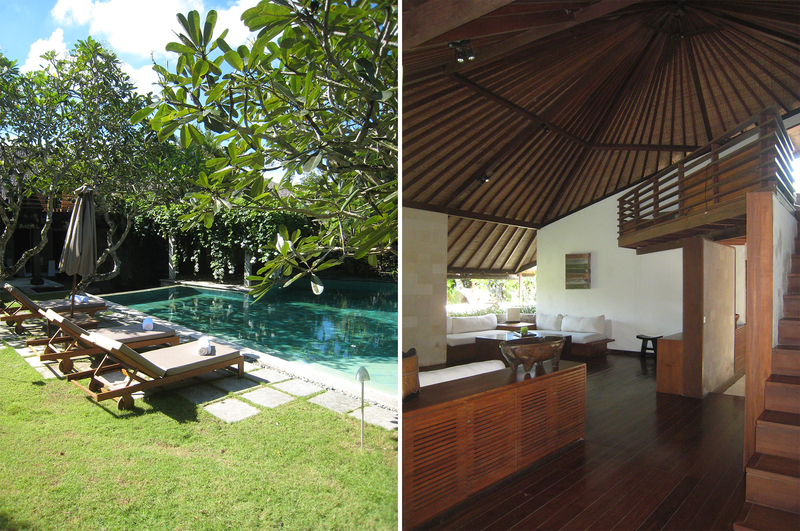 A necklace of private villas are perched on the narrow ridges that define this lush tropical landscape. Each villa looks out over the steep river valleys to the rice patties that occupy the flattened summits of the adjacent ridges. 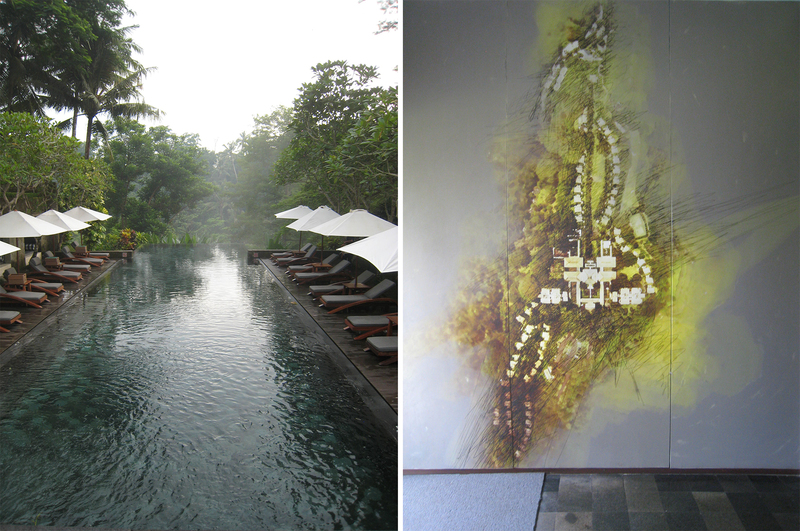 Two hours from Ubud by winding and perplexedly congested roadway, I arrived at the private compound of Hong Kong artist, businesswoman and philanthropist Sin Sin Man. The next two nights would be spent as guests in the beautiful Villa Sin Sin, (seen below) a series of award winning contemporary villas each with a private pool and enormous living spaces. I had met Sin Sin in HK, where she is owner and curator of a trio of art galleries and clothing boutiques. Sin Sin is in indefatigable artist. Her every day is committed to creating beautiful designs, through collaborations with local Indonesian artists while having the keen business sensibility to translate these genuine grass root activities into international caliber happenings. On an implausibly sunny Tuesday afternoon in February (the high for Toronto that day was minus ten), I arrived at the palatial “tree house” home of a good friend of Sin Sin’s. It’s one thing to have a house that could easily accommodate 200 guests, but it’s another thing altogether thing to have your own exotic zoo. After shaking hands with a baby river otter, and being chased across the yard by a peacock, I settled down to an afternoon of creative collaboration with Sin Sin and one of her local artisan friends. The afternoon was spent drinking local coffee, eating pastries, rambutan and mangosteen, while designing totems for the upcoming “The Sin Sin Show” in Hong Kong. By the end of the idyllic afternoon, and despite being interrupted by wonderfully huge butterfly – Sin Sin and I developed a series of totems that were put into production. You can see them below in their final form. Sin Sin is a tour-de-force. She has integrity and determination, and she brings local design, craft and heritage to the international scene. After spending two days with Sin Sin, I was really struck by how she embraces the local and international network that she has built – and unites them in the creation of her work, she is the ultimate cultural curator. The new town of Bridgewater, Ontario; designing a counterpoint to urban sprawl. Ontario’s Best Butter Tart Festival-Midland’s sweet success!